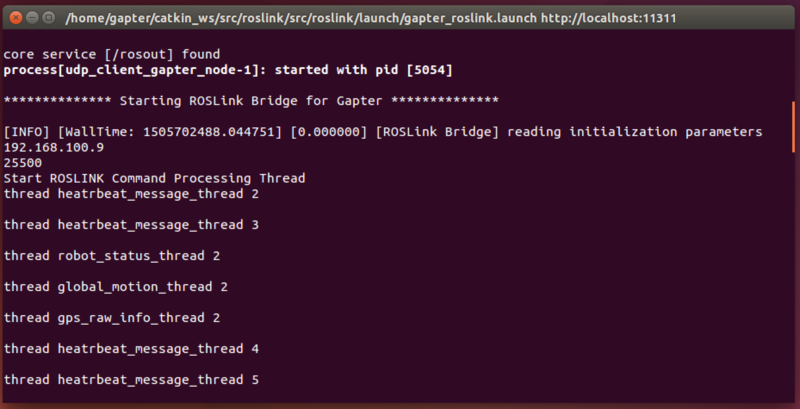 The ROSLink Bridge consists of fully-functional ROS script written in Python, which is executed as ROS node in the client. For more details about ROSLink Bridge see ROSLink Bridge for Gapter. The user can set these values as appropriate for the application. 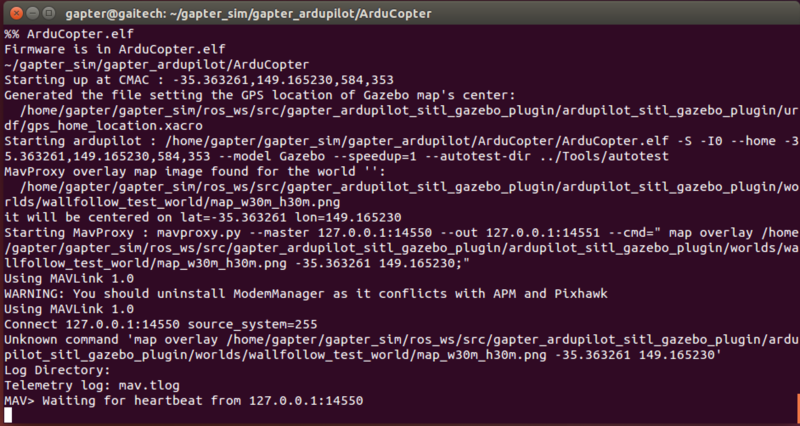 ground_station_ip to identify the IP address of your server machine, replace it with the correct IP addrees of the Dronemap Planner. Refer to this page to know how to configure Dronemap Planner . heartbeat_msg_period specify the period for heartbeat message. robot_status_msg_period specify the period for the robot status message. global_motion_msg_period specify the period for the global motion message. gps_raw_info_msg_period specify the period for the GPS indo message. range_finder_data_msg_period specify the period for the range finder message. 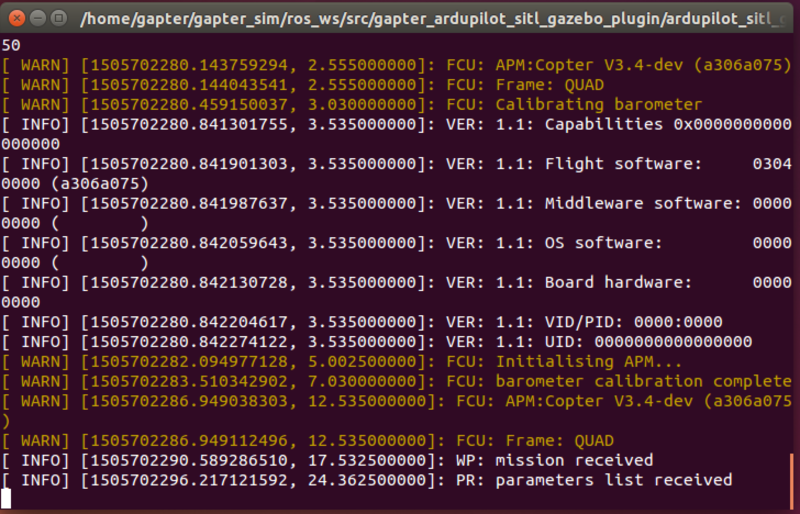 system_id to specify specifies the ID of the robot. It helps in differentiating robots from each other at the server side. 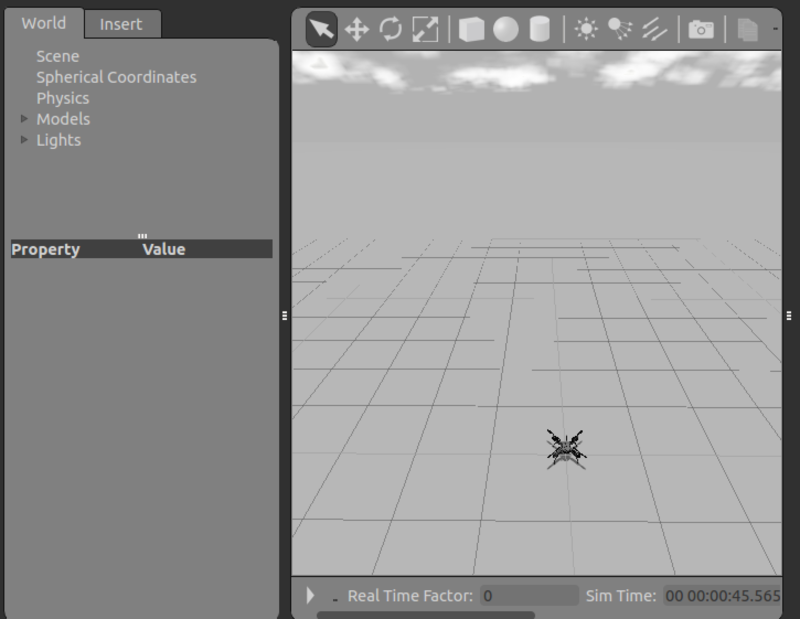 key field is used to identify a robot, and to map it to a user. A user that would like to have access to a robot, must use the same key that the robot is using in its Heartbeat message. Gazebo window will opened now and you should see Gapter model. 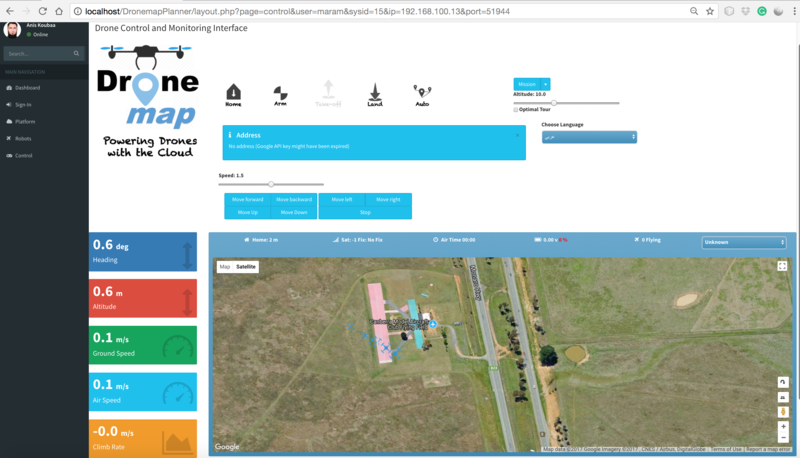 2- open your brower and enter the link of the dronmemap planner main website. To be able to control Gapter, click on button.